They Got Me Over A Barrel: Shall we start a new group about pubs and beer? Shall we start a new group about pubs and beer? "Shall we start a new group about pubs and beer, which were, last time I checked, Camra's real objectives? Because I am so bored of people posting about the cheap discount booze they've bought at their local B&M's. I literally couldn't care less. Do you people not realise you are the problem?" That is a good proposition Kevin Durkan I am a licensee and publican who has for a decade being lobbying government to legislate against tied pubco's and family brewers who are asset stripping Britain's pubs for short term financial gain, in the case of pubco's, solely to pay interest on the gargantuan debts the pubco's raised to buy the pubs in the first place. It is the Great British Pubco Scam and is the root of the problem with pubs. Most people don't know about it because the pubco's and brewers behind it are in the business of keeping it out of people's consciousness. The obfuscation through their trade body, the British Beer and Pub Association is deliberate and calculated to be taken up by the pub going public, largely people who take pubs for granted, paradoxically because pubs have been such a ubiquitous part of all our life experience it seems impossible that the end of the pub is nigh. Well. It is. 31 pubs are closing every week, this figure lags behind the true rate, in addition there are, literally tens of hundreds of pubs under Holding Management which the pubco's try to re let while they are on the market. The pubco's are divesting more pubs all the time and beginning to invest in managed estates, the 'independent British pub' is definitely, without a shadow of doubt, being forced out of existence by private equity asset stripping buying pubs for their development value irrespective of their viability and the rates of closure is increasing. There IS a Beer Revolution underway, pressure cooked by the fact that the British Pub Sector is a foreclosed market - the more micro brewers that open, the more people are encouraged to set up more breweries - the more competition there is for outlets for these beers and the more pressure there is for the existing brewers to cut their prices to maintain sales in an every burgeoning market... There will be many small brewery failures as this explodes and there is not enough outlet for existing and new brews. 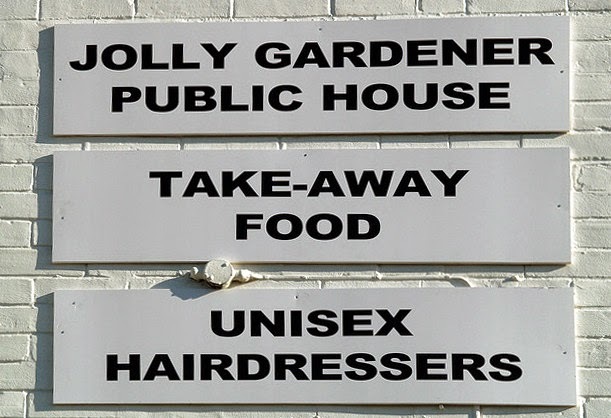 The evidence for the Great British Pubco Scam is everywhere there is a Micro Pub - most are opening near premises that once were a pub but have now been converted to residential, or to Tesco's or to betting shops. So YES Kevin. Your suggestion is a good one. Consider now the busy cafe society that has swept through Britain in the last twenty five years... Starbucks alone turns over almost half a £Billion a year. It pubs had evolved in a free market it's not easy to imagine pubs being the place of choice for millions of coffee and tea drinkers to spend time. They are, after all, the iconic place of relaxation and socialising in the UK. I'd be interested to read the source material for the "fact" that tied rents are higher than market rents.- I've never seen any. Could you post a link? Tied (list) prices may occasionally be 2x FOT, but on average the prices actually paid are not - as I've demonstrated elsewhere ad nauseam.